I think everybody knows about Galaxy S4 and it’s high end specs with over all its latest S-features, Samsung’s stock rom consists of different things with over lot many customizations in graphics and performance too. 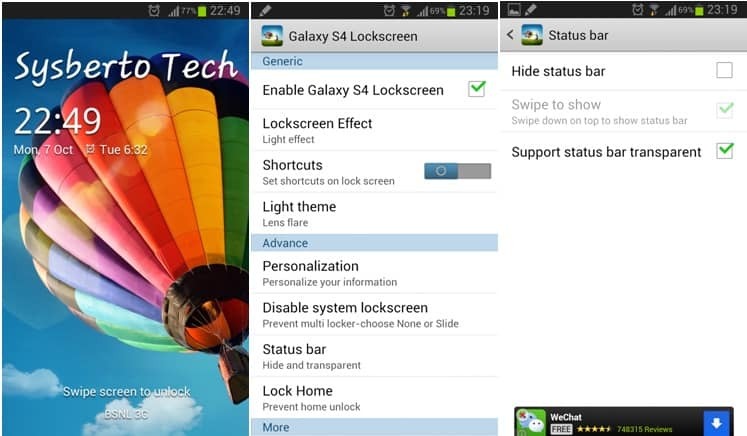 As Galaxy S4 is running Android v4.2.2 out-of the box, it have lot of changes from previous 4.1.2 version of android like different types of settings arranged in tabs, New additions of apps and etc. You just need to get in playstore here, and then after downloading it you may start exploring its features as well as ui and get here if you want to know more about the app and developers.